On 21 September 2013, a group of gunmen without warning attacked hundreds of unarmed civilians at the upmarket Westgate shopping mall in Nairobi, Kenya. The attack and siege lasted for several days and resulted in the deaths of 61 civilians, 6 Kenyan soldiers and 4 attackers. 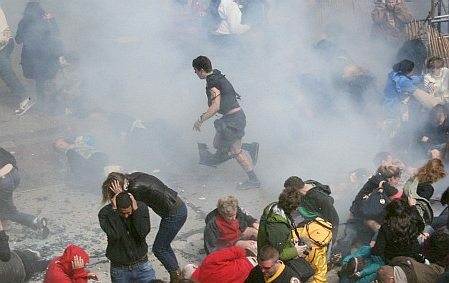 Several hundred people were wounded as well. Al-Shabaab, a Somali militant Islamic group with ties to the terror network al-Qaida, claimed responsibility for this attack. It was one of the worst terror attacks in Kenya since the bombing of the United States embassies in Nairobi and in Dar es Salaam, Tanzania in 1998. That mass murder was also carried out by Muslims. They, too, had ties to al-Qaida, the Jihadist terrorist network of Osama bin Laden and Ayman al-Zawahiri. The attackers behind the siege of the Westgate shopping mall had been living in Nairobi and plotted the attack for several months, according to a Western source. Kenyan officials believe they have determined the identities of four attackers who stormed the mall. All four of the men are Somalis, although one of them, identified as Hassan Abdi Dhuhulow, grew up in Norway and was a Norwegian citizen. They entered Kenya from Somalia in June 2013. Four other men have so far been charged as accomplices to the terror attack. In an update written by Nicholas Kulish and published in The New York Times on November 18 2013, the NYT didn’t once use the words “Muslim” or “Islamic” to refer to these mass murdering terrorists. They were merely referred to as “men” or “Somali citizens.” In contrast, after Anders Behring Breivik’s massacre in 2011, Kulish was in the same newspaper very quick to tie Breivik to alleged “right-wing extremists” who oppose Muslim immigration. This is dishonest journalism. The specifically Islamic nature of the mall attack in Nairobi couldn’t be more obvious than it is. Even mainstream news reporters from the broadcaster CNN stated that the ruthless terrorists “took turns to pray, removing shoes to perform the ritual washing in a room stacked with boxes. They bowed down in Islamic prayer, taking a break from incessant gunfire.” In video footage from the shopping mall, the gunmen are seen shooting members of the public and taking breaks for prayers in between their massacre. They also talked on their mobile phones occasionally. An eyewitness said that the attackers had told Muslims to leave and that only non-Muslims would be targeted. Others were asked to name the mother of the Islam’s prophet Mohammad or given other Islam-related questions. As terrified civilians hid in toilet stalls or in ventilation shafts, the assailants began a game of questions to separate Muslims from those they considered infidels. A Jewish man scribbled a Koranic quote on his hand to memorize, after hearing that the terrorists were asking captives to recite Koranic verses. In other words, this was a specifically Islamic attack dedicated to traditional Jihadist principles. It systematically targeted non-Muslims, although some Muslims were also accidentally hit in the process. Abdukadir Mohamed Abdukadir, known as Ikrima, is thought to be a key player behind the siege at Kenya’s Westgate Mall. Intelligence officials say Ikrima is a commander and active recruiter within the Somali militant group al-Shabaab. He is believed to be associated with those who planned the 1998 U.S. Embassy bombing in Kenya that killed more than 200 people. Ikrima grew up in Kenya and speaks several languages — including English, Somali, Swahili, French, Norwegian and some Arabic. 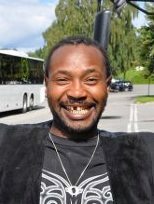 He came to Norway in 2004 “and left in a hurry in 2008,” according to Norwegian TV2 correspondent Bent Skjærstad, who has been investigating Ikrima. Ikrima is a Kenyan citizen of Somali background. 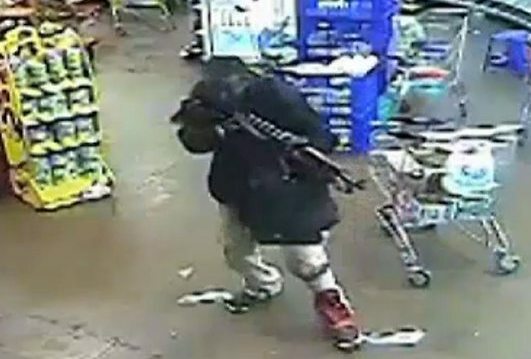 The Westgate Mall attack has raised more questions about his time in Norway. Could he have recruited Hassan Dhuhulow, the 23-year-old Somali Muslim and Norwegian citizen who appears to be one of the gunmen caught on surveillance cameras during the siege? After Breivik’s attacks in Norway in 2011, the Western mass media launched a search for other alleged right-wing extremist Islamophobes who might be potential terrorists. Fingers were quickly pointed at the English Defence League (EDL), a street protest movement protesting against Islamization. Yet the EDL are mentioned only a tiny handful of times in the 1518 pages of Breivik’s manifesto. The single longest mention of them there is actually extremely negative. They are there dismissed as a bunch of useless, non-violent sissies who won’t liberate Britain by blowing up British nuclear reactors. So Breivik’s open denunciation of the EDL for being non-violent in the mass media became twisted into the claim that Breivik supported the EDL. By late 2013, the only proven case involving terrorism and the EDL was attempted Islamic terror attack against them. In England in the spring of 2013, six Muslim terrorists admitted to planning to attack an EDL rally in June 2012 with homemade bombs, guns and knives. The plot only failed by sheer luck because the Jihadist group turned up too late. Furthermore, they were only caught by another stroke of luck later on. Their improvised explosive device would have showered those nearby with shrapnel, thereby maiming or killing large numbers of people. In June 2013, Omar Khan, Jewel Uddin and Zohaib Ahmed were each sentenced to 19-and-a-half years’ imprisonment for this failed terror attack. Mohammed Saud, Anzal Hussain, and Mohammed Hasseen were sentenced to 18 years and nine months. It was more or less pure luck that this planned terror attack didn’t kill many people. Had these Muslim terrorists succeeded in their intended mass murder, would that have made the BBC and the rest of the mass media somehow co-responsible for this attack? The question is not ridiculous. It is only following the same logic that the mainstream media used after Breivik’s attacks. The case was then presented as if peaceful groups and individuals who had warned against Islamization were somehow responsible for the mental climate that formed Breivik the terrorist. According to the exact same logic, the BBC and the rest of the established media would have been co-responsible for this brutal Islamic terror attack if it had succeed, since they warned against the EDL. It is true that there are non-Muslim terrorists such as the ETA or IRA. There was the case of Timothy McVeigh and the deadly Oklahoma City in the USA in 1995. Japan in 1995 witnessed a deadly sarin gas attack on the Tokyo subway, carried out by fanatics from a Japanese cult. There will always be some crazy people or fanatics. For that reason, we will always need to have some kind of secret police. The threat of terrorism would not be zero if we removed Islam from the equation. However, it would be substantially reduced. A vastly disproportionate number of successful or attempted terrorist attacks in the world today are carried out by Muslims. It is therefore somewhat comical to witness how many Western journalists desperately try to blame white right-wing extremists after such attacks. Occasionally they may be right, but usually they are not. In the summer of 2013, the police authorities in the Boston area of the USA had scheduled a major training exercise featuring right-wing extremist terrorists. This hypothetical terror group was even given a name: Free America Citizens. Instead of an imaginary attack by right-wing extremists, the Boston area was on April 15 2013 struck by a real terror attack carried out by two Muslim brothers, Dzhokhar and Tamerlan Tsarnaev. Tamerlan Tsarnaev later told the police that they had studied an English language Internet magazine called Inspire, published by the Islamic terror network al-Qaida in order to inspire terror attacks. Anders Behring Breivik, too, studied al-Qaida’s online material in 2010 and 2011, while preparing his own attacks. In November 2013, a series of shootings terrorized Paris, France for several days. Again, as had been the case with the Muslim terrorist Mohamed Merah in March 2012, the shootings were initially suspected by many media commentators to be carried out by a European right-wing extremist. This was supposedly generated by a climate of hate fostered by the Front National and the Islamophobia of Marine Le Pen. In reality, the shooter turned out to be Abdelhakim Dekhar, a Muslim of Algerian descent with far-Left sympathies who was well-known to the police beforehand. After the Friday prayers on September 21 2012, hundreds of Muslim demonstrators gathered in central Oslo near the US Embassy in Norway to demonstrate against Innocence of Muslims, a previously obscure anti-Islamic movie. The left-wing academic and failed terrorist Lars Gule correctly pointed out that these Muslims were waving the black flag of Islam. This flag is often used by Jihadists terrorists such as al-Qaida. That’s a puzzling statement. These angry, bearded immigrant men already seemed to have a strong and secure cultural identity. 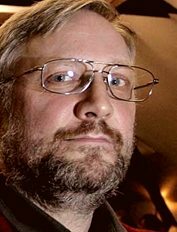 It is probably more difficult for young European natives to find their own identity, given that Multicultural activists such as Lars Gule have worked hard for generations to take this away from them. When Muslims in the center of the country’s capital city openly shout slogans praising known terrorists, stating that they thirst for “revenge” over perceived Western insults to Islam, they are dismissed as merely a bunch of “frustrated youths” who are not representative of Muslims in general. Yet Gule and many others were quick after Breivik’s terror attacks to suggest that thousands of people agree with him and might potentially pose a threat to national security due to their peaceful opposition to Islamization. What about Hassan Abdi Dhuhulow, a Norwegian citizen who apparently took part in the carefully planned slaughter of 60 innocent civilians in Kenya in 2013. This amount was comparable to the number of people killed by Anders Behring Breivik. Was he, too, merely a “frustrated youth”? 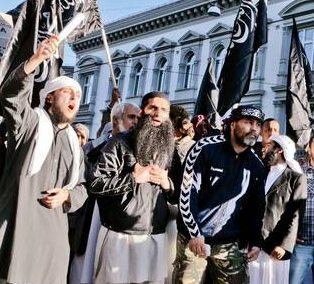 Shamefully, other, slightly less militant Muslims in Oslo were in 2012 also joined by the allegedly conservative Mayor of Oslo Fabian Stang in a demonstration against free speech that could be seen as insulting to Islam. The Muslim protesters against free speech further received words of support from Christian leaders such as the Lutheran Bishop of Oslo, Ole Christian Kvarme. As it happened, Norway also got its first Muslim government minister that very same day as Muslim militants shouted “Osama, Osama!” in central Oslo. 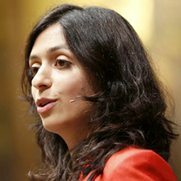 The new Minister of Culture from September 21 2012 was Hadia Tajik, a Labour Party politician of Pakistani descent. Tajik is certainly more peaceful than Muslims praising known terrorists, but she still identifies as a Muslim and is no courageous ex-Muslim comparable to Wafa Sultan, Ayaan Hirsi Ali or Sabatina James. It is remarkable how subdued public reactions to these militant Muslims were. If a group of ethnic Norwegians had demonstrated in central Oslo and shouted “Breivik, we love you!” or “The world needs another Breivik,” the mass media and national authorities would have gone bananas. Yet so far, no such crowd has ever materialized in Norway. This is for the simple reason that the terrorist Anders Behring Breivik enjoys little or no support for his mass murder. Islamic terrorists such as Osama bin Laden and al-Qaida do enjoy substantial support among a disturbing number of Muslims, however. Perhaps not the majority, but many enough. Notice that these two high-profile writers didn’t merely suggest that those who are warning against Islamic aggression are just as dangerous as Muslim Jihadists. No, they indicated that Islam-critics are more dangerous. Similar sentiments were voiced in the media by other commentators at the time. 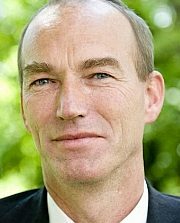 Kjell Grandhagen, the head of the Norwegian military’s Intelligence Service (Etterretningstjenesten or E-tjenesten), stated in 2012 that they did not see any major violent threat from anti-Islamists. In their 2013 report, the Norwegian Intelligence Service concluded that militant Islamic groups remain the largest terror threat against Norway and its interests. The Norwegian Police Security Service (PST) have echoed this conclusion. These are the people who presumably know more about this issue than any others in the country. The statements from those in the know thus directly contradict the claim that anti-Islamists are just as dangerous as Islamic groups, if not more so. The writers Jostein Gaarder and Thomas Hylland Eriksen claimed in July 2011 in one of the largest newspapers in the Western world that anti-Islamists constitute a “greater menace” than Islamic militant groups. This suggestion is not supported by facts, if you believe statements from the security services. Gaarder and Hylland Eriksen made strong statements about specific groups of people that have little or no basis in reality. Despite this, they are not called “conspiracy theorists” by the press or accused of stigmatizing other people. Those who risk being called “conspiracy theorists” are those who point out the actual and documented Islamization taking place in many European cities today. This especially happens if the same people dare to point out that the Muslim immigration creating this problem continues to be promoted by Western political elites, usually in opposition to the popular will. In the Western mass media, you thus risked being labeled “an extremist” or a “conspiracy theorist” if you give fact-based views opposing mass immigration or the Islamization of European cities. On the other hand, you can be treated as an “expert” if you casually toss around claims about vast networks of dangerous right-wing extremist Islamophobes that have little or no basis in reality. 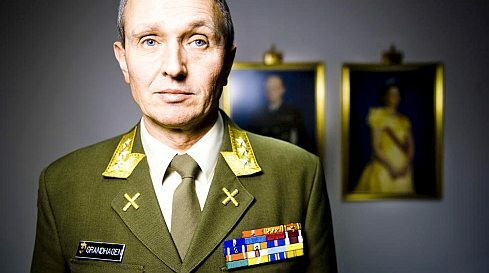 In October 2012, Norway’s Minister of Justice together with the heads of military and police intelligence briefed selected Members of Parliament in Oslo about several dozen named individuals who were suspected of being potential terrorists. All of them were apparently Muslims. Most of them came from an immigrant background, plus a handful of white converts to Islam. The politicians were told that the threat of Islamic terror attacks against the country had never been greater. Despite this, one source stated to the newspaper Dagbladet that Norwegian authorities still spend relatively few resources on dealing with this growing problem. This situation remains unchanged or worse into 2013 and 2014. 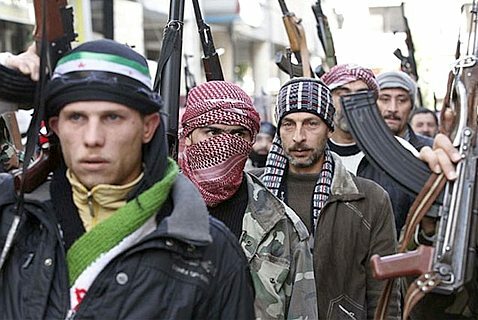 A growing problem not just for Norway and the Scandinavian countries but the entire Western world is presented by Muslims who go abroad to fight Jihad in places such as Syria. Those who survive may come back to Europe with greater military skills and enhanced status among militant Muslim groups. The underlying premise of this essay seemed to be that “Islamophobic hate” had laid the foundations for Breivik’s attacks. This was often repeated by other commentators in 2011, and sometimes still is today. In 2006, the author Jostein Gaarder published a controversial op-ed in Aftenposten which denounced “Zionist terrorists” and said that Israel has “raped the world’s recognition.” He wrote this at the same time as Oslo was experiencing an escalating wave of very real rapes, some of them committed by Muslim immigrants. This happened just a few months after widespread Islamic aggression against Norway due to the Danish Mohammad cartoons, which had been reprinted by a tiny Norwegian newspaper. Gaarder received much criticism for this text, but also vocal support from others such as the notable authors Edvard Hoem and Anne B. Ragde. Gaarder became a wealthy man by writing the novel Sophie’s World. This doubles as a guide to the history of Western philosophy, and has so far sold over 40 million copies in more than 60 languages. Yet he apparently understood very little of what he was quoting, since he fails to grasp that every single achievement of Western thought is now under threat by the same Islamic forces that are bragging about their plans to destroy Israel. In the op-ed he argued that the state of Israel “will have no peace before it lays down its arms.” The first rule for dhimmis — discriminated non-Muslims living under Muslim rule — is that they must always be unarmed and submissive to their Muslim masters. Even members of the Jihadist terror organization Hamas have stated that they may be willing to accept some Jews living in their society, as long as these accept their subjugation and inferior status vis-à-vis Muslims. Muslims may not like Jews in general, but they first of all hate armed Jews. Europeans should take note that the same basic rules apply to other non-Muslims as well. When Gaarder argues that Israelis “will have no peace before it lays down its arms,” he is doing exactly the same thing as Jihadists who demand that non-Muslims lay down their weapons and accept Islamic rule or face annihilation. He doesn’t seem to understand or care about the fact that this submission applies equally to his own family and nation, too. Islam does not mean peace but submission; submission to Allah and Mohammed’s example by Muslims, and submission to Islamic rule by everybody else. Sharia law is essentially a recipe for a world of eternal serfdom. While his car bomb in central Oslo was unusual, Breivik’s shooting massacre at Utøya was all but unique. The closest equivalent we can find to this in Western countries might be school shootings. Yet there are important differences. Breivik apparently planned his attacks longer than many other spree killers do. Quite a few (though not all) of the perpetrators of school shootings also kill themselves or otherwise end up dead in the process. This was, for instance, the case with Seung-Hui Cho, who killed 32 people at Virginia Polytechnic Institute and State University on April 16, 2007. Likewise, Adam Peter Lanza on December 14 2012 fatally shot twenty children and six adult staff members at Sandy Hook Elementary School in Newtown, Connecticut. He also shot himself and his mother, though. A major difference is that school shootings usually target people or groups with whom the killer has an established personal relationship. For instance, most killers involved in such cases claim to be victims of bullying at that school, rightfully or not. To my knowledge, Breivik didn’t personally know a single one of the 69 people he killed and Utøya, nor the many others he tried to kill. Breivik’s massacre at Utøya also targeted his own nation. There were some immigrants on the island, but most of the people he killed there were native Norwegians, his own ethnic group. He also carried out his attack alone. We know from many wars that human beings can be capable of great brutality. This usually involves people carrying our massacres against other nationalities. In this case, we have to deal with social group dynamics, with several individuals egging each other on to carry out such atrocities. Yet Anders Behring Breivik carried out his massacre utterly alone against his own ethnic group, holding no direct personal grudges against any of those he killed. That’s what makes his mass murder particularly unusual — and possibly unique. However, we have to ask why Breivik carried out his massacre alone. One of the most likely answers is: because he didn’t find anybody else who was willing to aid him in his mass murder. A few people were suspicious of his behavior prior to his attacks. Sadly, they did not notify the authorities. Perhaps history would have been different then. Nevertheless, several years later, we have no indications that a single other person knew about his planned terror attacks. Breivik tried to keep these plans secret because he knew that others would notify the police authorities immediately if they found out about them. Even Varg Vikernes, a convicted murderer with neo-Nazi sympathies, distanced himself from the massacre at Utøya because it targeted ethnic Norwegians. Presumably, if Anders Behring Breivik had openly declared that he wanted to shoot 15-year-old girls at Utøya, he would have been hard-pressed to find a single other person in the entire country willing to join him in this mass murder. Let us compare this to another Norwegian citizen, terrorist and mass murderer: Hassan Abdi Dhuhulow. In Kenya in 2013 he participated in and possibly planned a large-scale massacre that was every bit as brutal as the one carried out by Breivik in Norway in 2011. It also killed a comparable number of unarmed civilians. Yet while Breivik was utterly alone, Dhuhulow was part of a group of equally brutal terrorists and murderers. 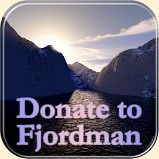 There was a lot of talk about Breivik’s alleged “flock” of supporters after his July 22 attacks. Yet Anders Behring Breivik in all likelihood carried out these attacks alone precisely because he found nobody else willing to participate in his massacre. Hassan Abdi Dhuhulow found a number of other people willing to join him in terrorism and mass murder. This is because, unlike Breivik, he really did come from a flock of sympathizers and supporters. Furthermore, a lot of people were accused of allegedly inspiring Breivik’s mass murder. Among them were myself, Robert Spencer, Bat Ye’or, Daniel Pipes, Diana West and Andrew G. Bostom. Yet not one of these writers has ever called for terrorism or mass murder. Moreover, Breivik, who is at least borderline insane, did not make stops during his massacre July 2011 to quote passages written by Robert Spencer, Bat Ye’or, Daniel Pipes, Diana West or Andrew G. Bostom. 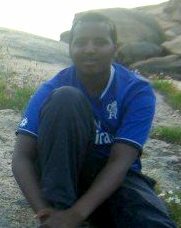 Hassan Abdi Dhuhulow and his terrorist friends in September 2013 made stops during their gruesome massacre specifically to pray and quote Islamic scripture. They also systematically targeted non-Muslims. This is amply documented both by video and by testimony from surviving eyewitnesses. We do not know exactly which texts these Islamic terrorists quoted while praying. Perhaps it was the Koran 2.191: “And kill them wherever you find them, and drive them”; the Koran 2:216 “Fighting is prescribed for you, and ye dislike it”; or the Koran 3:151: “We will cast terror into the hearts of those who disbelieve” We don’t know precisely because there are so many quotes in the Koran and in the secondary hadith literature encouraging Muslims to fight, humiliate and yes, kill non-Muslims. Anders Behring Breivik may be insane. He carried out his 2011 massacre utterly alone, at least partly because he knew that he probably would not be able to find anybody else to join him in his terror attacks. 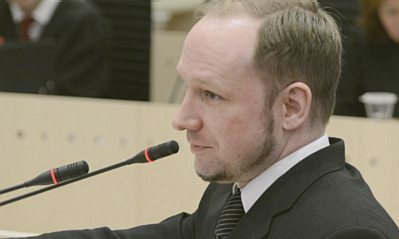 Breivik did not find any support for terrorism or mass murder in the texts he had quoted from other authors. Hassan Abdi Dhuhulow carried out his 2013 massacre along with a group of other like-minded individuals. This is at least partly because he was able to find other people who supported his murderous intentions and were willing to help him to carry out this mass murder. Dhuhulow found support for aggression, violence and potentially murder in the Islamic texts which he and his co-terrorists quoted. The long and short of it is that Breivik’s massacre is likely to remain unusual, precisely because he did not come from a flock and did not have textual support from a major faith for his murders. Dhuhulow’s massacre is, on the other hand, likely to be repeated in different countries. This is because he did come from a flock of people who have textual support from the scriptures of a major faith for violent attacks. Hassan Abdi Dhuhulow’s flock of militant Muslim supporters is set to grow, as long as the number of Muslims in the West continues to grow. Breivik’s massacre is not very likely to be repeated, whereas Dhuhulow’s massacre is highly likely to be repeated. This likelihood is increasing every single day due to Muslim immigration. Western mass media and political elites are currently reluctant to say this in public, however. Doing so would amount to an admission that they deliberately support immigration policies which expose their own citizens to a greatly increased risk of terrorism and mass murder, and that Islamic teachings may be a major factor in this. Just as I was writing these words, yet another terror attack with ties to Scandinavia took place. Once again, it was carried out by Muslims. 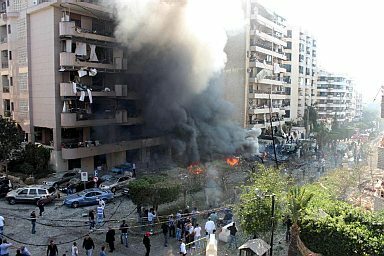 On November 19, 2013, an attack was carried out against the Iranian embassy in Beirut, Lebanon which killed at least 25 people and injured 150. One of the two suicide bombers behind this attack was identified as Mouin Abu Dahr. 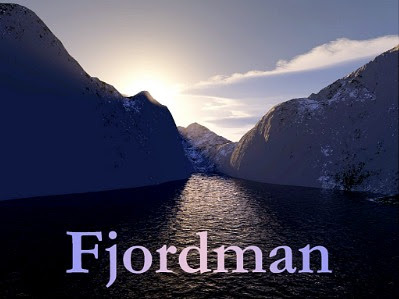 He had lived in Sweden. Ironically, he seems to have become more Islamically militant there. A close friend who asked not to be identified said Mouin became far more religious following a trip to Sweden, where he fell under the influence of a radical imam. “After he returned from Sweden, he started talking about martyrdom and saying his family was not religious enough,” the friend said. You will occasionally hear Western academics or politicians state that while there are some problems with certain Islamic communities today, in time, Muslims will adjust to our societies. The problem with this assertion is that it seems to be based more on wishful thinking than actual evidence. The tensions with Islamic communities and parallel societies in the Western world are often worse now than they were a few decades ago. Moreover, it is not at all rare that second or even third generation Muslim immigrants are more radical and militant in their Islamic views than those who settled here first. The available evidence strongly indicates that the tensions grow the more numerous Muslims in our societies become. At some point, they may manage to dominate entire urban regions, where they often follow their own traditions and laws. The Pakistani-American Islamic terrorist David Headley was sentenced in January 2013 by a US federal court to 35 years in prison for his role in the Mumbai terror attacks in 2008, which killed 164 people. He pleaded guilty and co-operated with US authorities to avoid the death penalty and extradition to India. Headley also pleaded guilty to taking part in a plot, along with co-conspirator Canadian-Pakistani businessman Tahawwur Rana, to attack Jyllands-Posten’s headquarters in Copenhagen and Aarhus in Denmark, behead the paper’s employees and throw their heads into the street. The terror plot was in response to the newspaper’s publication of cartoons of Islam’s founder Mohammed in late 2005. These led to protests around the world and inspired various terrorist retribution plots. In particular, one of the Danish cartoonists, Kurt Westergaard, has received numerous death threats and murder attempts by Muslims. In neighboring Sweden, the artist Lars Vilks now lives under constant police protection due to Islamic death threats over his drawings of Mohammed. On 11 December 2010, two bombs exploded in central Stockholm, Sweden, killing the bomber and injuring two others. The terrorist was Taimour Abdulwahab al-Abdaly, an Iraq-born man of Swedish citizenship who had lived for years in Britain. This militant Muslim targeted the Christmas season, the greatest holiday in a traditionally Christian nation, with a Jihadist attack. He intended to kill as many people as possible with his explosive devices. Due to sheer incompetence, he only managed to blow up himself. Yet he could easily have killed dozens of people. This was probably the first Islamic suicide bombing in Scandinavia. It is unlikely to be the last. All over Western Europe we have seen many reported cases of botched Islamic terror attempts. Many of these attacks have failed either due to the competence of the security services or the incompetence of the would-be terrorists. Yet the sheer number of militant Muslims in our countries is now growing so fast that at some point it will be nearly impossible for the security services to successfully keep track of all of them. Anders Behring Breivik is an anomaly, the exception that proves the rule. By far the most likely terrorists to hit Scandinavian targets next time will be people resembling Hassan Abdi Dhuhulow, Mouin Abu Dahr or Taimour Abdulwahab al-Abdaly. Our political leaders and media do not want to talk too much about this fact, however. Doing so might raise more questions about what kind of belief-system motivates these terrorists, and why we through our open-border policies of mass immigration keep letting potential terrorists into Western countries. This entry was posted in Africa, Arab Spring, Civil Liberties, Counterjihad, Domestic terrorism, EDL, Enrichment, Fjordman, Immigration, Media, Middle East, PC/MC, Politics, Scandinavia, Sharia, UK, USA by Baron Bodissey. Bookmark the permalink. Superb essay. Pass it on, post the link widely. Pretty simple formula: Western nations like Norway and the US admit people from countries like Somali and they go back out to kill in third countries. Does that not make us complicit? If Breivik became a nazi, then he simultaneously converted to islam, because islam inspired Hitler who admired Muhammad; basically, the nazis were always really only a variety of white, better-dressed muslims. The enemedia are owned by the same corporazi sales-masters as the sales-puppet politicians. Why problem-solve yourself out of a job by noticing islam officially inspires terror, when you can pretend terrorists are just spontaneous eruptions whose cause will remain mystifyingly unknown in perpetuity (perhaps all religions are the same, and the real problem couldn’t be peaceful islam, but perhaps only some weird hybrid breed of “radicalist extremist islamist militantists,” at most, perchance)? So muslims have now not only been granted that false right to not be offended nor have their feelings hurt by the often-painful truth, but are also empowered “by law” to act as their own judges, juries, and executioners in accusing, trying, convicting and condemning those who dare to speak the truth about the islamic extortion racket to warn the public about them. islam cannot and will not ever change, in any way, because it’s the “perfect” word of allah, and the metaphoric so-called “gates of ijtihad (interpretation) have been closed for centuries! Islam can be easily studied and known in its entirety, by anyone.